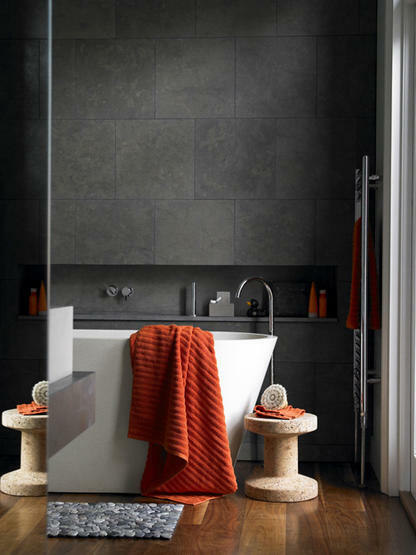 Most homeowners and even some interior designers will tell you that it is a really bad idea to design a room with the use of mostly dark tones. 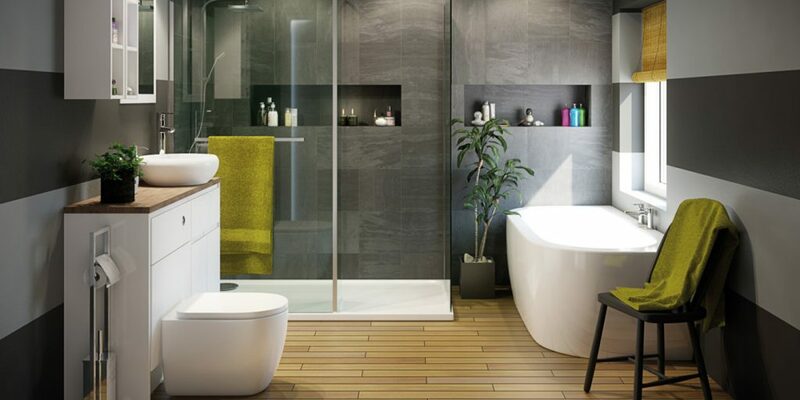 This is especially the thought process when thinking about bathrooms. Unfortunately, there are so many that think this and all is a shame since dark bathrooms can be really beautiful. 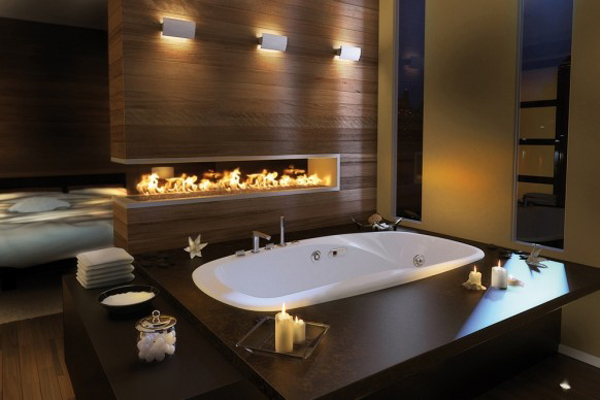 The real problem with designing darker bathrooms is that people overdo it. You cannot do this with success when you just use artificial lights. Well, you can but you have to be creative. There is an example below with colored lights used in a setting where natural light is not available. 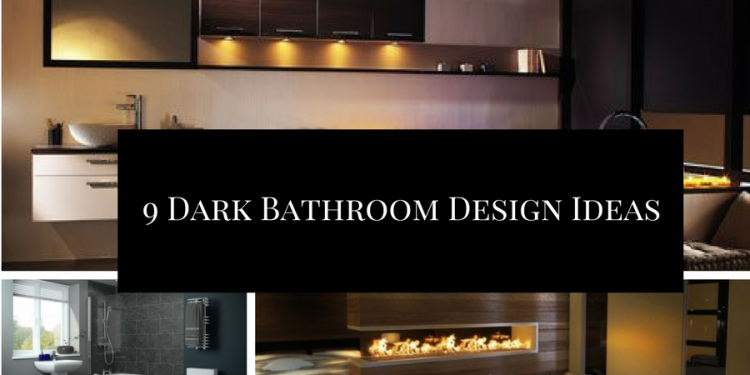 The trick with dark bathroom designs is usually to take advantage of as much natural light as possible. 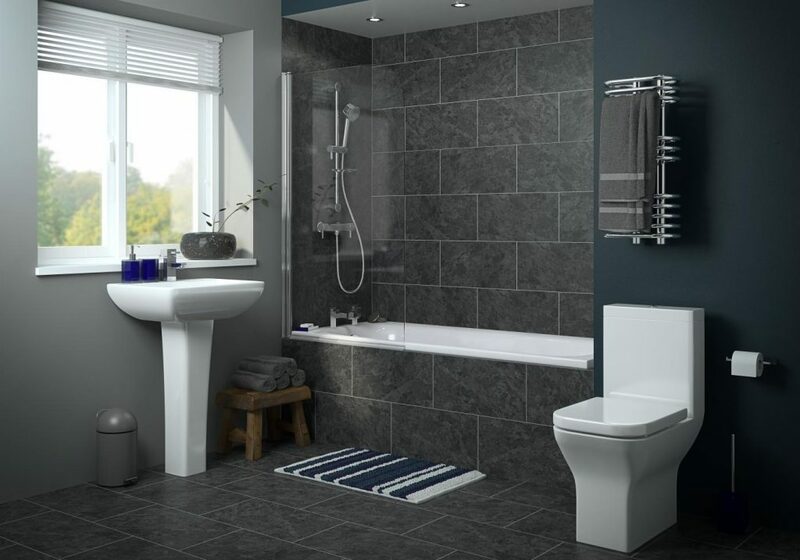 If you have larger windows, the dark bathroom will look stunning. 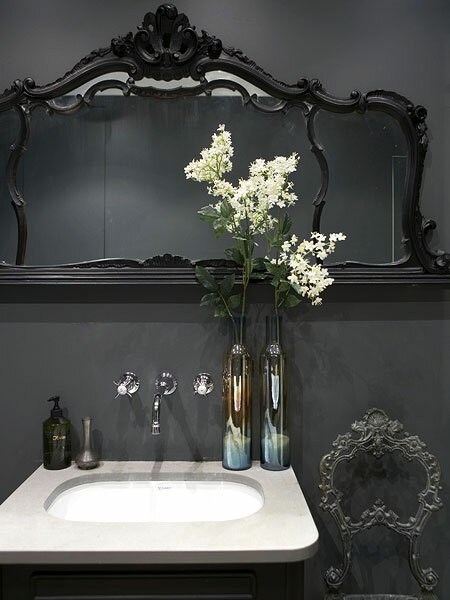 Using dark tones can help make the interior of the bathrooms more harmonious and voluminous. 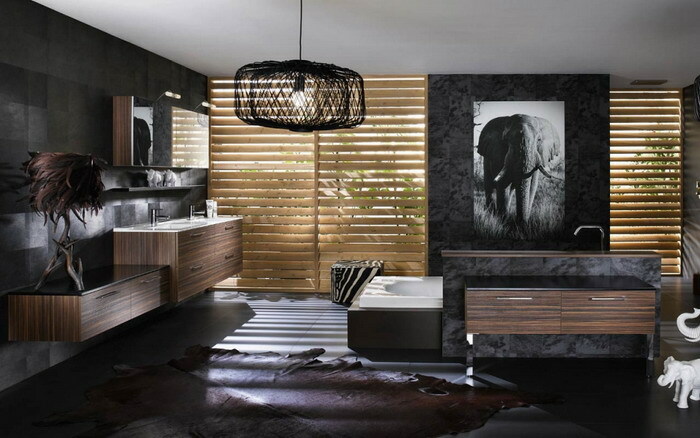 Keep in mind that you almost always want to combine the darker tones with light tones and even with transparent elements. Then, see how you can personalize. Hundreds of ideas can be offered but we get you started with only some that are very good. Get your inspiration and take it one step further.